Advanced. Alluring. Athletic. It's all that, and more. A is for attention-getting. 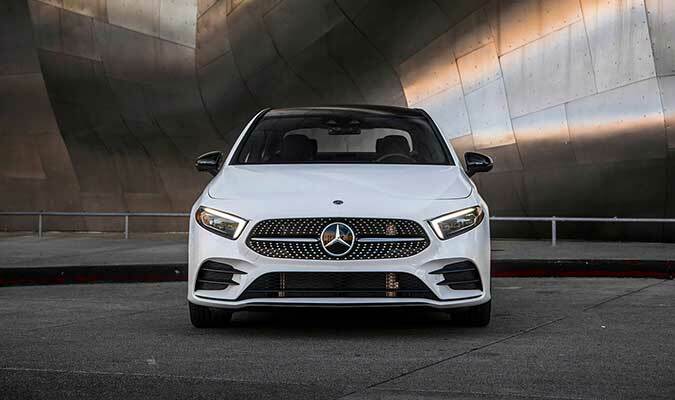 The clean lines, LED lighting and aggressive stance of the A-Class Sedan are designed to capture admiring eyes. 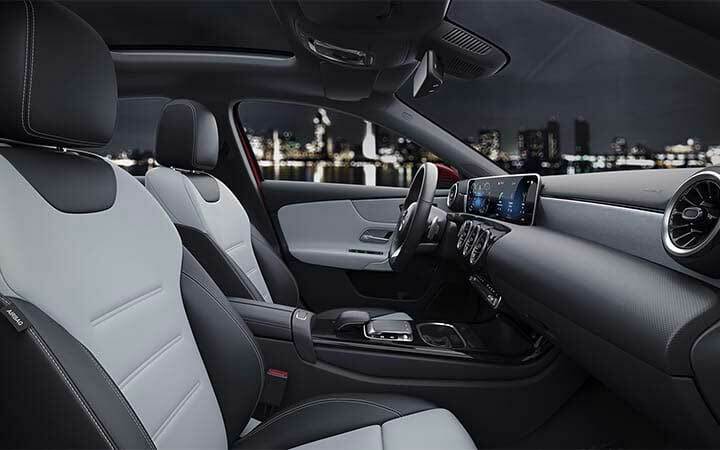 Its ultramodern cabin and premium appointments aim to captivate its driver and passengers for years to come. 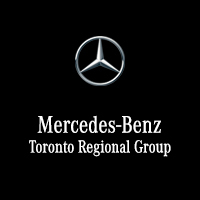 The Star on the outside is earned on the inside. The roomy, refined cabin includes heated front seats and a driver-seat memory. Dual-zone, double-filtered climate control. A panoramic sunroof. And options from Burmester® surround sound to a hands-free trunklid. Dual 7-inch digital displays keep you clearly informed and thoroughly entertained. Available 10.25-inch screens raise the bar and widen the view. 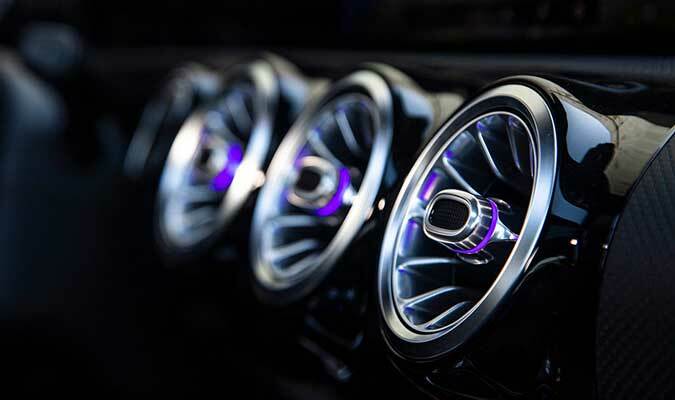 Circular dash vents go with the flow, including the available 64-colour ambient lighting. Sure, it looks solid on standard 17-inch wheels. Or choose from three 18-inch options. 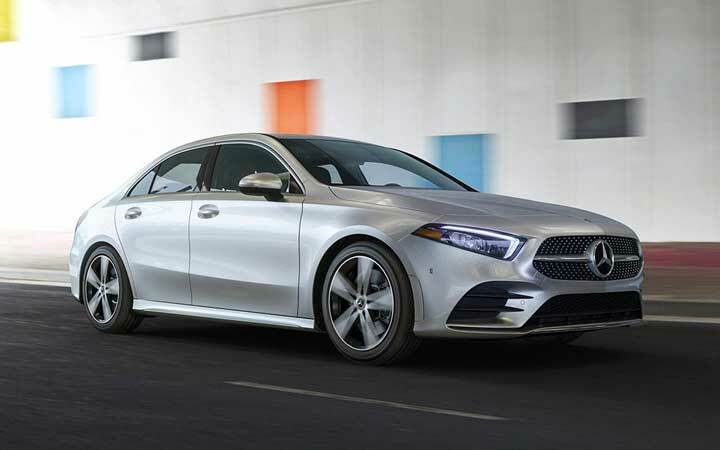 One of them comes with AMG bodywork, a chrome diamond-block grille, and sporty cockpit items. One comes with all that plus bold black accents. A is for athletic, agile and active. 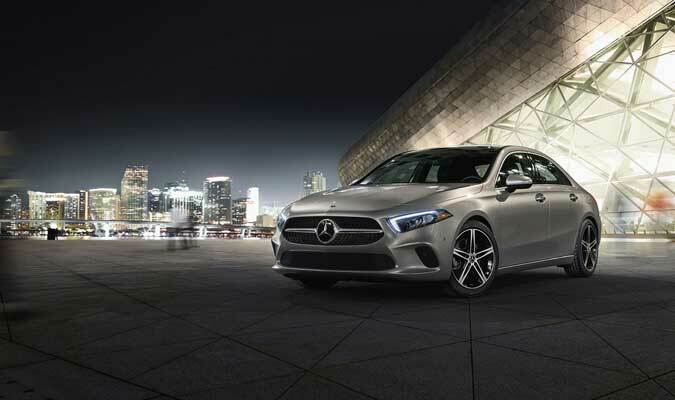 With turbo power, seven speeds, four drive modes, and a lowered suspension, the A 220 and all-wheel-drive A 220 4MATIC Sedans turn 188 horses and 221 lb-ft of torque into rapid response and full-time fun. 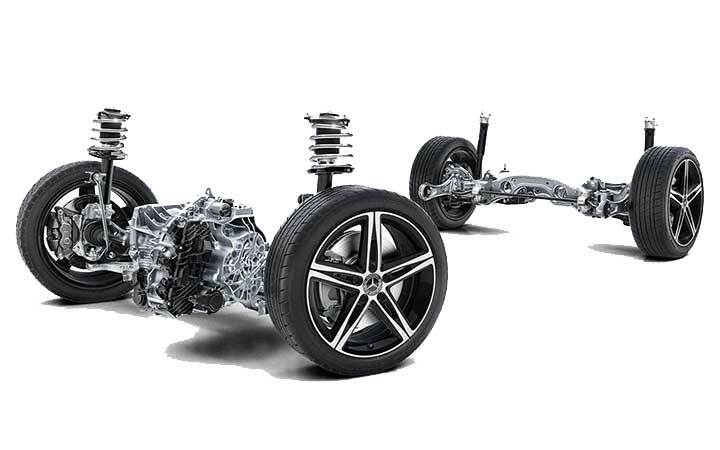 Quick reflexes with a quality ride come from an independent suspension at all four wheels. 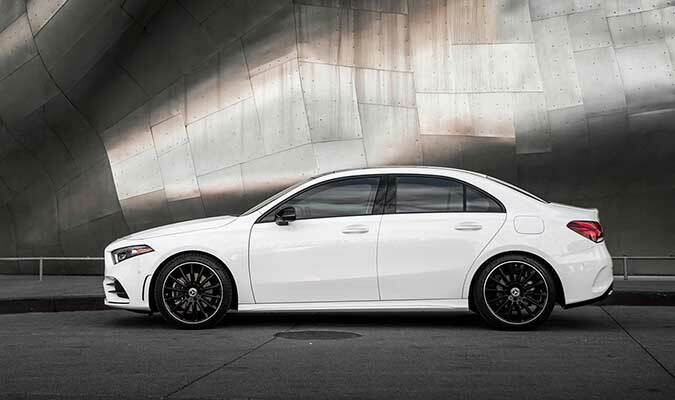 It's tuned to balance refined comfort with crisp response. And its ride height is subtly lowered, for an even more athletic stance. 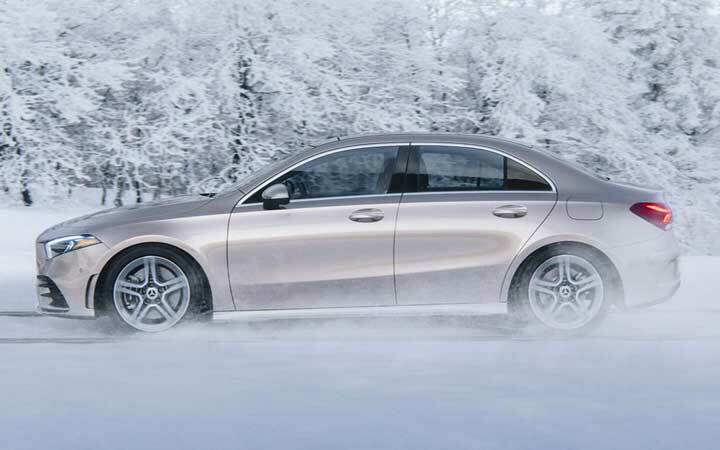 Lightweight, agile, variable-torque 4MATIC adds to your driving confidence, from winter's wrath to cornering fun. 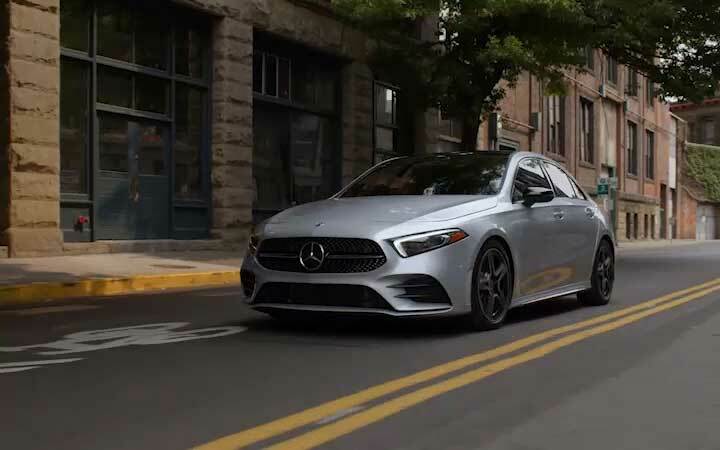 It can send power from the front to the rear wheels of the A 220 4MATIC instantly and expertly in response to available traction. 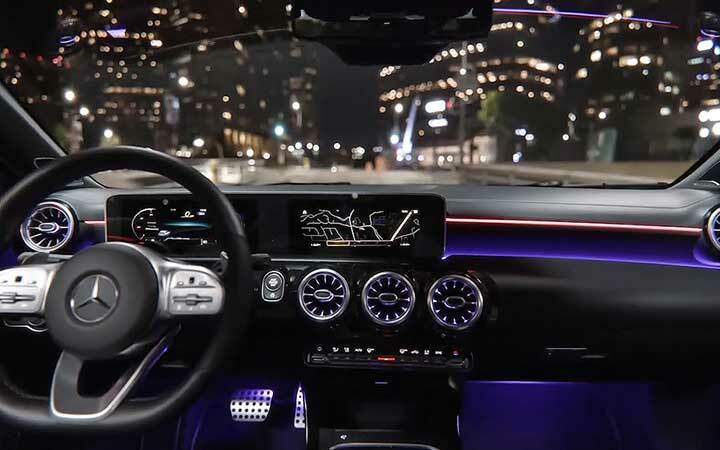 With a touchscreen in the dash, a touchpad on the console, and Touch Control Buttons on the steering wheel, the A-Class cockpit is as easy to use as your smartphone. 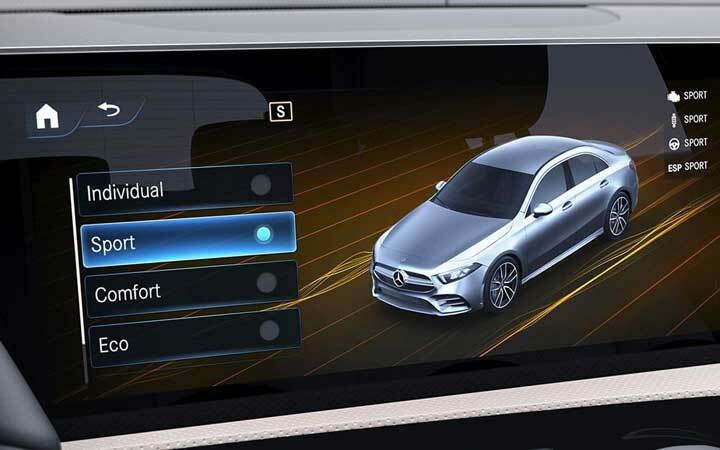 Just scroll, swipe and select from illustrated menus on the dual dash displays. 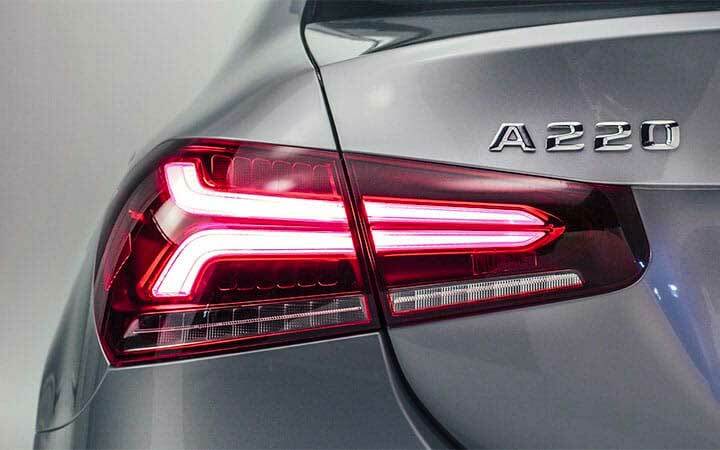 No need for formal commands in your A-Class. 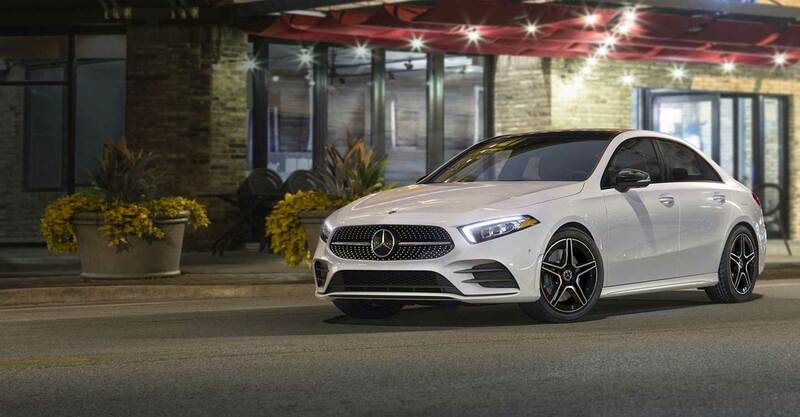 Say "Hey, Mercedes, it's cold in here" or "I need a coffee," and MBUX controls many cabin features, or the available MB-Navigation, like you're old friends. Go with the flow. Even when it's slow and go. 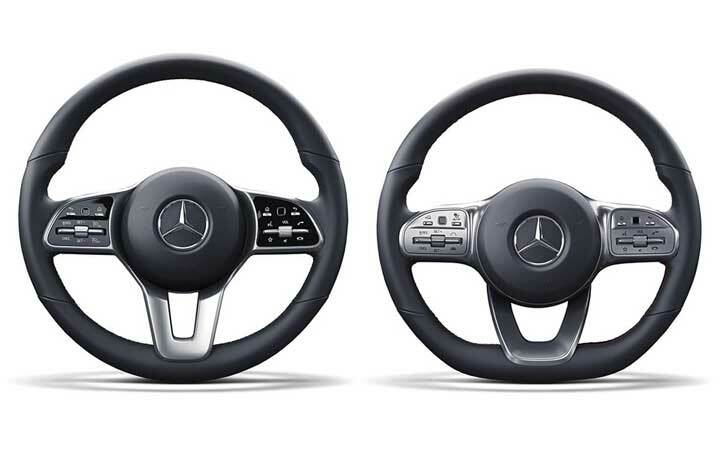 Active Distance Assist DISTRONIC cruise control tells driving stress to hit the highway. Multirange radar helps it adapt your set speed to the flow of traffic, to make cruising more convenient and traffic less taxing on your patience. Change how you see yourself, and you'll go places. 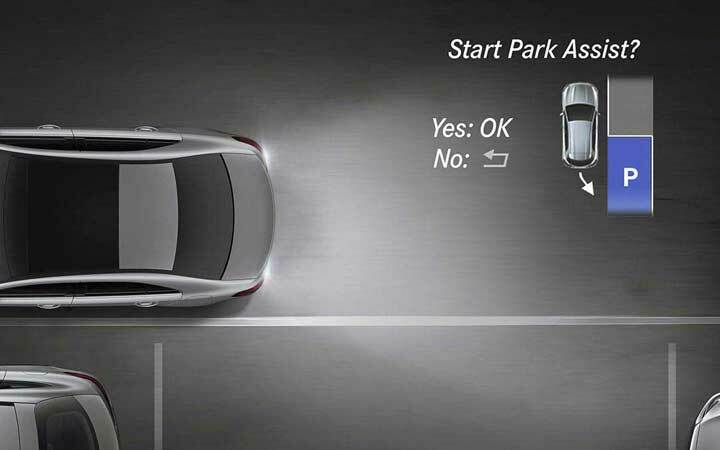 Both a 360-degree camera system and hands-free Active Parking Assist are available. So you can scope out the scene, and make a smooth entrance. 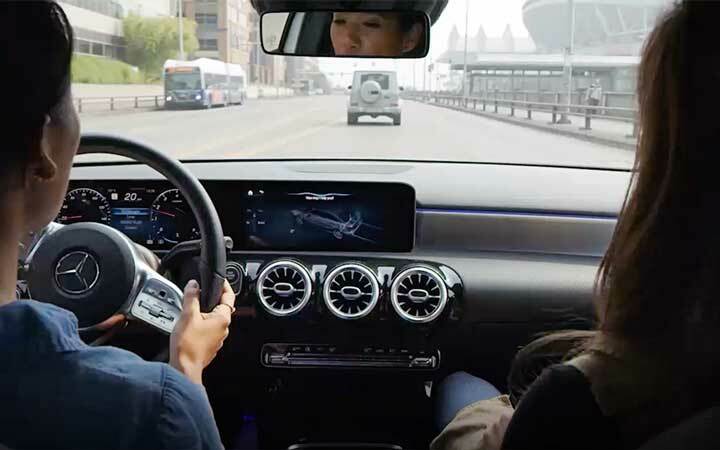 Mercedes me connect makes ownership easy. 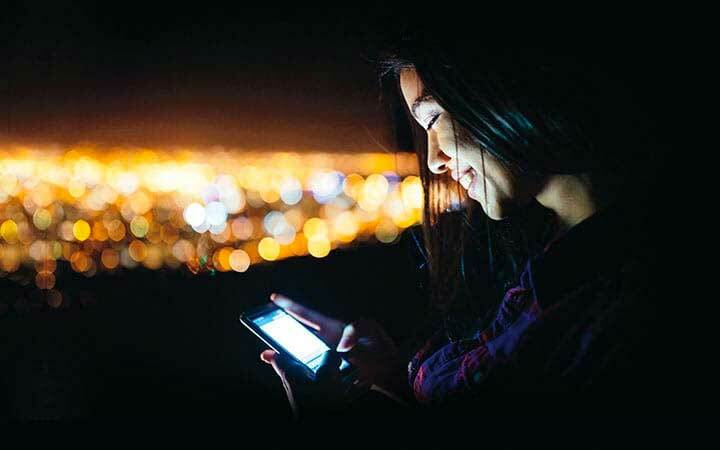 Access Remote Start or Lock/Unlock, see your vehicle status, or schedule service, all from your phone. MBUX can update itself in your driveway. 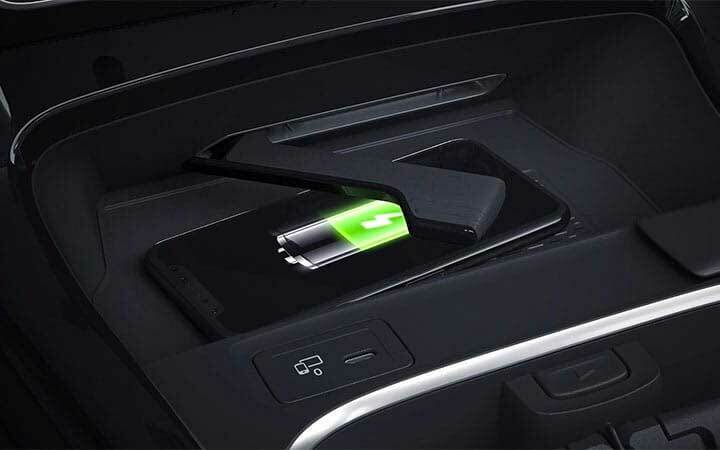 And in-car Wi-Fi is available for a low monthly rate.